WHO ARE THE LAWN SAVERS? 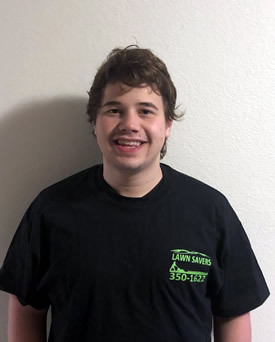 What started as a way for a college student to make money in the summer, with a beat up truck, a weed whacker, mower, and many long summer days under the midnight sun Lawn Savers has rapidly grown into one of the best Lawn and Landscape companies in the Anchorage, Eagle River, and Matsu Valley areas. Whether your project is small or large, simple or complex, Lawn Savers possesses the knowledge, expertise and work ethic to give you the very best result every time. Keeping your lawn looking great demands the attention of a true professional. 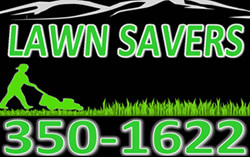 Lawn Savers Lawn Care is the area’s premier lawn care service that you can trust for the highest quality results, at a price you can afford. Is your lawn in need of some TLC or just regular care? Have no fear, the Lawn Savers are here! We specialize in providing superior lawn care services that include lawn maintenance, mowing, trimming, edging, fall cleanup, lime and fertilizing, dandelion spraying, weed control, and grass seed spreading. The Alaskan environment is unlike any other in the world, so let the true professionals that place stunning results as our main priority take care of your space. We do whatever it takes to cultivate a luscious, green lawn and all at an affordable rate that promises to beat any other company’s prices. Allow our commitment to quality lawn care and unmatched customer service to give you the residential lawn and garden space that your property truly deserves. Trevor has been with Lawn Savers from the beginning. For all your lawn and landscape needs he can provide you with a recommend plan of action to achieve the outdoor space you dream of. Trevor, is a former Marine Reservist who enjoys reading, and all things technology. Gabe, has been with the Lawn Savers on and off again since we opened. Gabe is a hard worker who doesn’t shy away from the dirty work. He will do what it takes to get the job done. He enjoys fishing, camping, and watching the Pittsburgh Penguins hockey team. 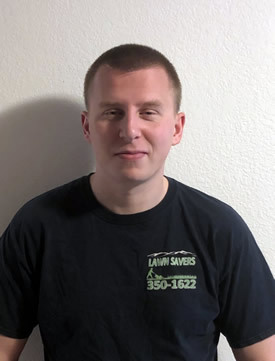 In his second full season here at Lawn Savers, he knows what is required to provide you with a beautiful lawn all summer long. 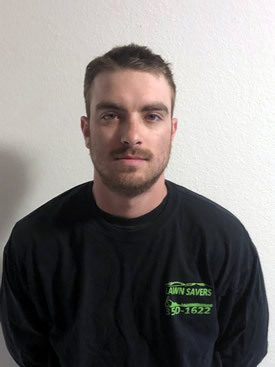 Nyle is a lifelong Alaskan who graduated from South Anchorage High Graduate and enjoys snowboarding, playing hockey, and all things outdoors.